The Sheep Whisperer: Vivacious Vision! How valuable is having keen eyesight? For sheep, it's a matter of life & death! 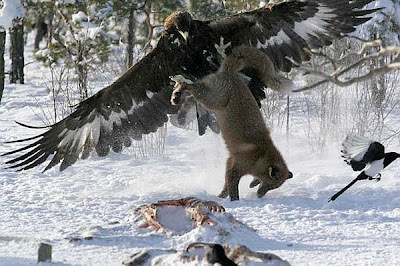 If they fail to see the predator approaching, then it will probably be the last mistake they ever make, before becoming a predator's meal! Sheep need an extra set of eyes looking out for them, primarily to avoid the scenario I just described. Let's take a peek into the importance of sheep having a second pair of eyes. Have Ewe ever seen such a magnificent EYE? Do Ewe think these glasses make me "Stand-Out"? 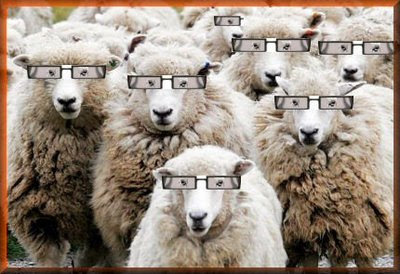 If the truth were to be told, Sheep have very poor eyesight, & can't depend on what they see to keep them from danger. 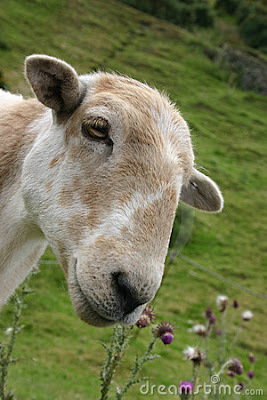 They rely more heavily on their sense of hearing, as well as on the Shepherd's alert ability to see for them! 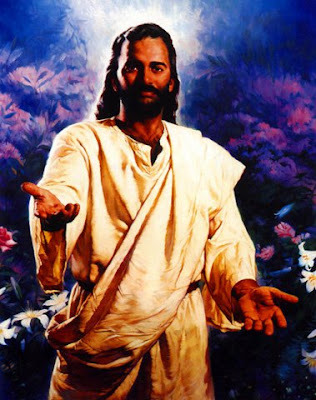 He is equipped to watch out for his sheep! Don't Ewe worry, because I'm "Looking-out" for EWE! Supplying each member of ewer herd with glasses is just impractical! It's time for our Lunch date! I'll be picking up the tab! squirrels, rabbits,﻿﻿ birds, & even full grown deer. 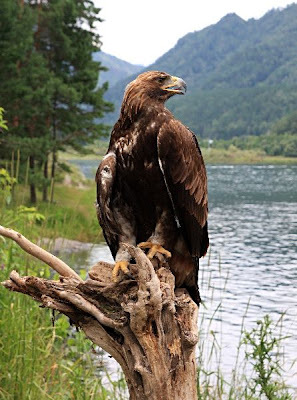 Golden eagle pairs are known to hunt a territory spanning 60 sq. miles, & stay together as mates for several years.They build huge nests in cliffs & in high trees, where females lay 1-4 eggs. 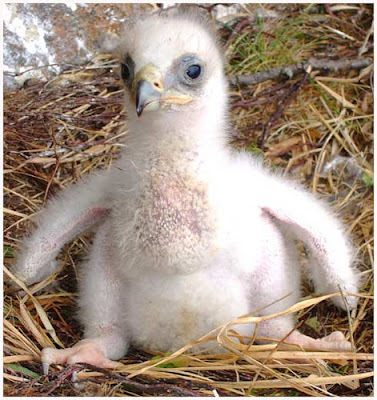 Both parents incubate the eggs for 40-45 days, & an average of 1 or 2 survive. The chicks are in the nest for about 3 months, before leaving for their new life . I know that I don't look very powerful, but Ewe just wait! 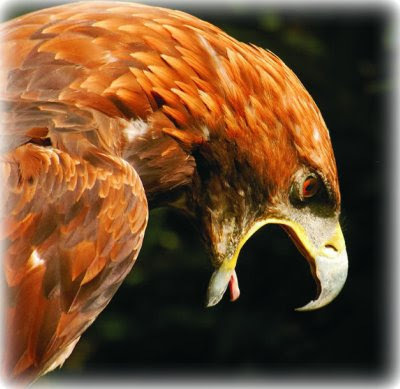 Did Ewe know that most Golden Eagles mate for life! 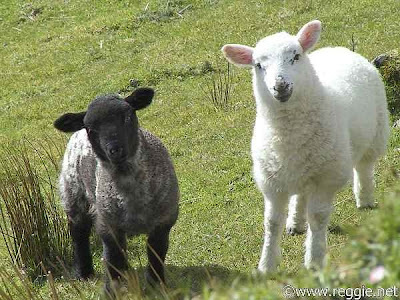 Sheep are unable to rely on their naturally poor eyesight on a regular basis. Even though their astute hearing assists them in detection of some danger, it's the Shepherd's watchful eye that provides the most security. Let me help Ewe to see the path Ewe are to walk on. Show us what Ewe see & which way to go! 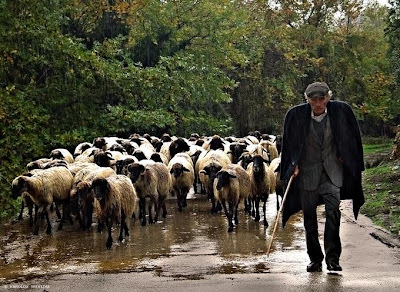 As Ewe travel on life's path today, recall the keen vision of the Good Shepherd, & follow His lead. Happy Trails to Ewe! A View from the 23rd! Spring Fever Sayings 3 ! Spring Fever Sayings 2 !